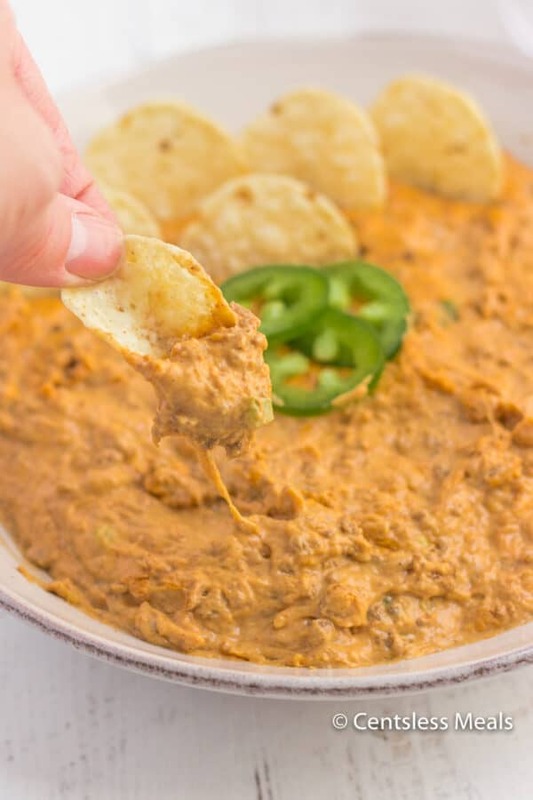 Chili cheese dip is a creamy and spicy party favorite that takes just 4 ingredients and under 15 minutes to make. No party is complete without this delicious appetizer! 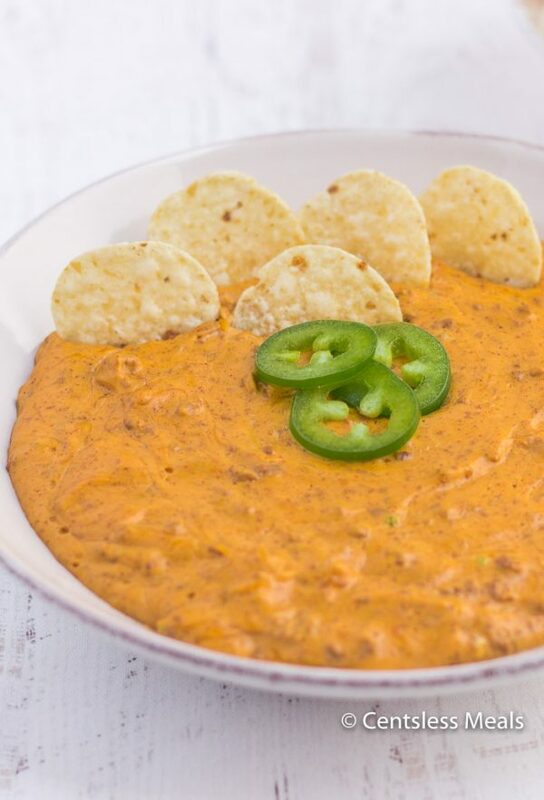 Chili is one of our favorite things to enjoy on a cold day, and this spicy chili cheese dip is no exception. From jalapeño poppers to taco chili, we’re always incorporating a little heat into our recipes! This dip is so incredibly good, I could seriously sit down with a spoon and devour the whole bowl! I add some diced jalapeños to give this chili cheese dip a little bit of extra kick. I have a bit of a love-hate relationship with spicy food because I love and crave it, but lately I’ve noticed I get heartburn much more frequently than I used to. The thought of not having spice in my food would literally break my heart! 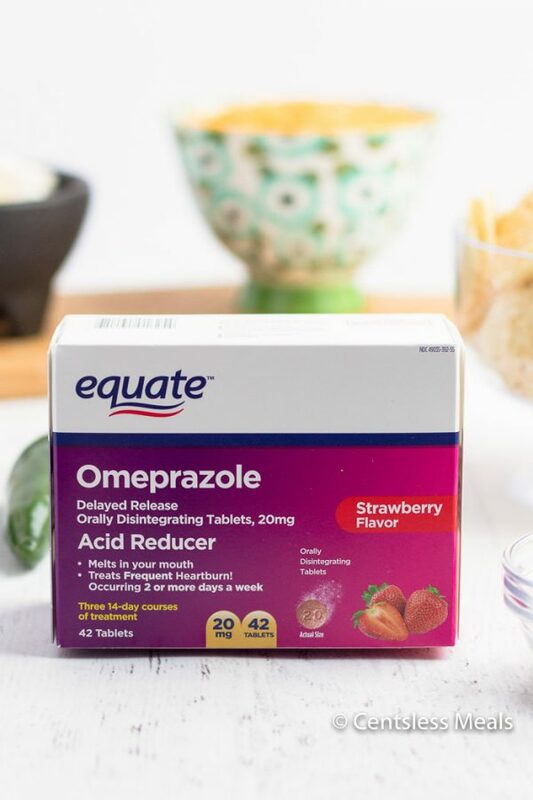 The new Walmart Equate Omeprazole Orally Disintegrating Tablet is a great solution and it treats the same heartburn symptoms as Prilosec OTC ®. The great news is that since it’s a store brand, it has a lower price and you know that’s a win in my book! 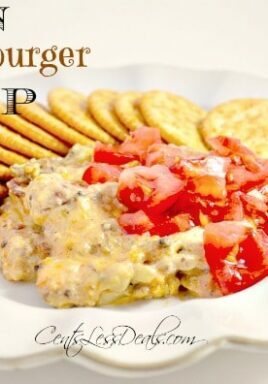 You can find them in the pharmacy section at your local Walmart (while you pick up the ingredients for this chili cheese dip recipe). Having frequent heartburn is no fun and if you’re like me, we always seem to be out and about at some event, friend’s house or out for dinner. I love that these tablets can be placed on your tongue and dissolve in your mouth (and they taste good). This means you can be discreet and have no worries about enjoying your favorites! For up to 24 hours of relief, just stash Equate Omeprazole ODT in your pocket or handbag. For best consumption experience, allow the tablet to dissolve on your tongue. Do not chew Omeprazole ODT tablets or dissolve in liquid. Take 1 dose every 24 hours for 14 days to finish the treatment. Don’t take Omeprazole ODT for more than 14 days unless directed by your doctor. 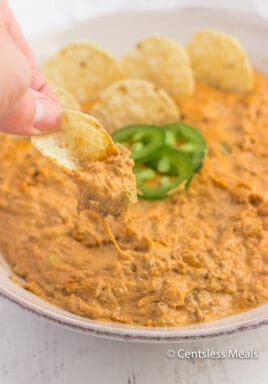 With your heartburn under control, you can dive into your favorites like this easy chili cream cheese dip! It’s perfect served with tortilla chips. I also love enjoying it with veggies for a healthier kick, or even pita bread. 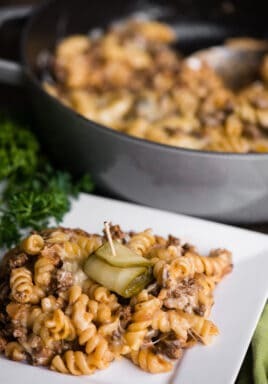 It is always the first thing on my list of recipes to make when I am hosting a party or attending a potluck! To make chili cheese dip, start by combining everything except the cheddar cheese in a pot over medium heat. If you have leftover chili, now is the chance to use it up! If not, canned chili will work perfectly. While the cream cheese melts, make sure you stir continuously so it doesn’t stick to the pot. Once everything is melted nicely, remove the chili cheese dip from the heat and sir in the cheddar cheese until it is melted. Chili cheese dip is best served hot, so serve it up as soon as it is ready! It definitely tastes delicious cold too. 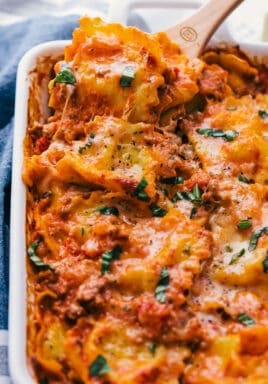 Chili cheese dip can be made in advance, just make sure you transfer it into an oven safe dish and pop it in the oven to reheat before you serve it! Combine chili, cream cheese and jalapenos on the stove in a small pot. Remove from heat and stir in cheddar until melted.